There are many aspects to managing a sales department. A sales report displays the sales information of each service rendered, and displays that information by revenue category. This template allows you to summarize detailed information from your Sales Leads, Clients, and Contracts. 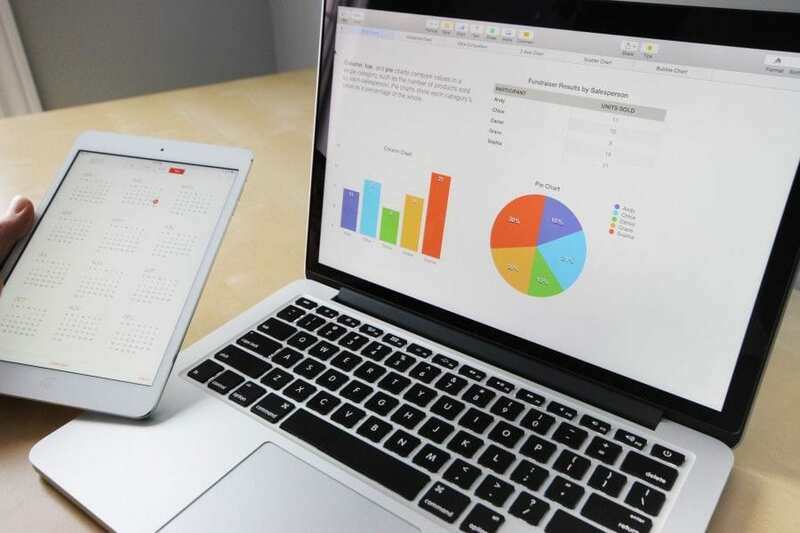 Use our dashboard to easily configure sales reports of these services. 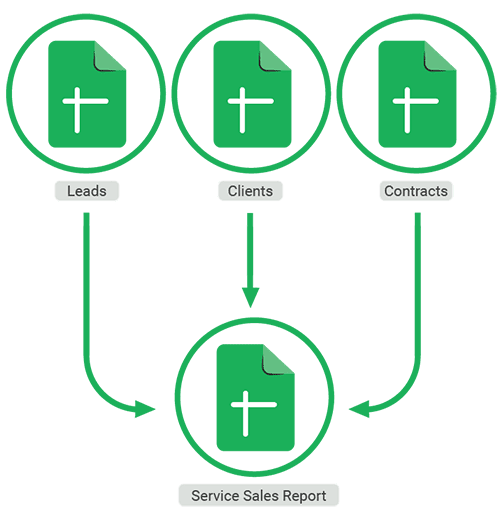 This template is designed to automatically configure service sales reports using your leads, clients, and contracts databases. 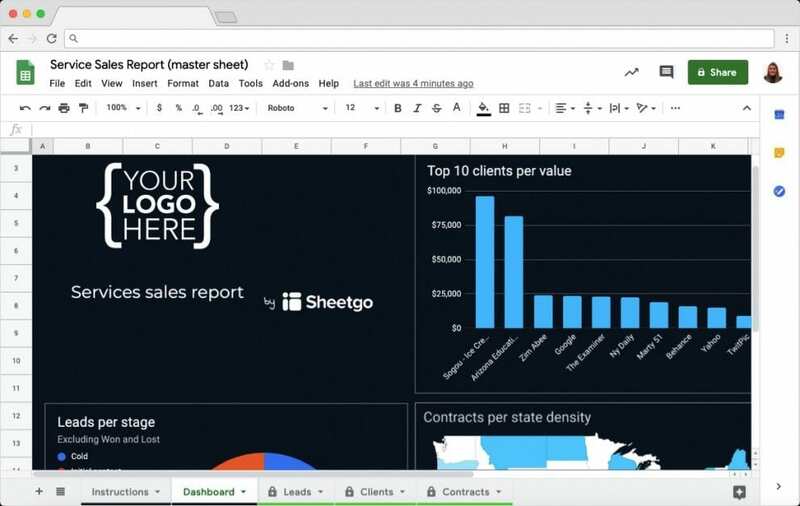 The 3 input spreadsheets are connected to the master spreadsheet “Service sales report” using Sheetgo. 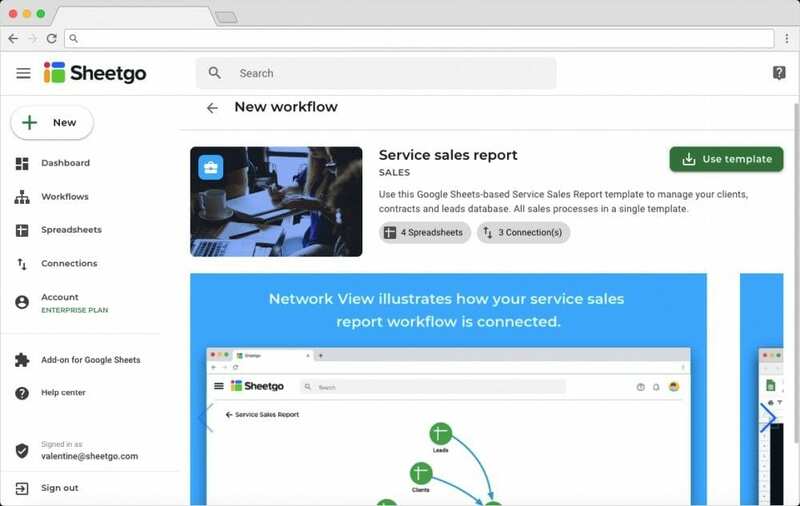 Install your Service sales report template in Google Sheets by clicking the button above. You will be asked to log in with your Google account. Once you’ve authorized, your Sheetgo account will also be created. Afterward, you will be redirected to the Sheetgo Web Application where you can find the template and install it by clicking the ‘Use template’ button. 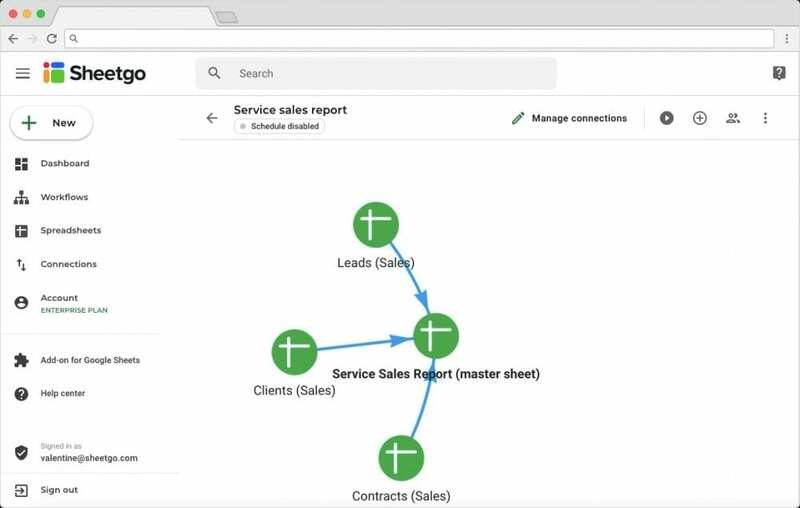 As you can see on the Network View in the image below, your master spreadsheet “Service sales report” is connected to 3 different input spreadsheets “Leads (Sales)”, “Clients (Sales)”, and “Contracts (Sales)”. To open all of these spreadsheets, and start using the template, click on each spreadsheet icon. Fill out the 3 input spreadsheets “Leads”, “Clients”, and “Contracts”. 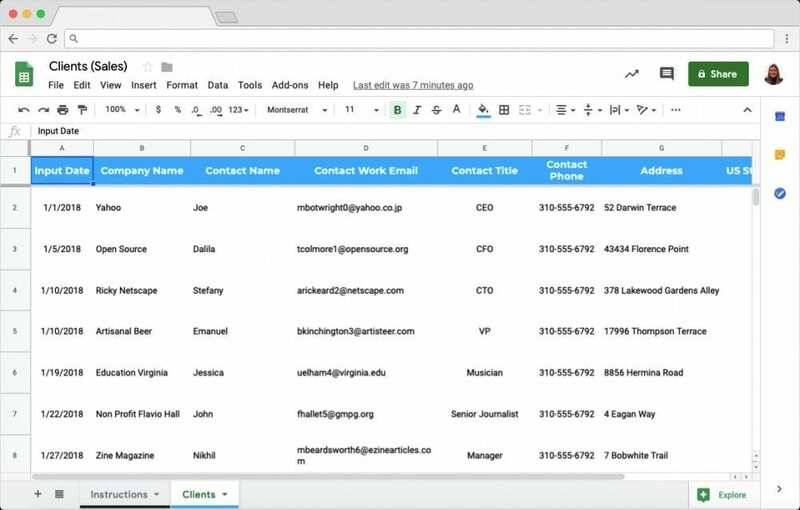 You will find two tabs in each of these spreadsheets: one with instructions and one input tab where you can easily overwrite the sample data with your own leads, clients, and contracts. Congrats! You’ve successfully configured your Service sales report template in Google Sheets. Feel free to customize this system to your own company’s needs and do not hesitate to contact us in our Sheetgo Community in case of any difficulties/special requests.